← Is the Magazine Dead? This weekend I am attending the wedding of my friends Martin Varshavsky and Nina Wiegand. (They did a civil wedding in Hawaii a little while ago; this is the more traditional Jewish wedding.) I wanted to get a gift, but first of all, Martin is a very successful entrepreneur who obviously can have any ordinary thing that he wants. And on top of that, the wedding website suggested that gifts were not necessary. Well, I just can’t stand to go to a wedding without a gift so I thought really really hard. What would Martin want and appreciate, that I might be able to get? And suddenly I realized it. Martin has been bugging me to help him figure out a way for his Educar charity to distribute Wikipedia (in Spanish) to schools without Internet connections. The problem is that there has not been a simple offline reader on a DVD in Spanish (or, really, most other languages). There has been a lot of good work to get a cut-down version of Wikipedia onto the OLPC, but this is a different and in many ways not as difficult project. Some people are very interested in working on the concept of offline editing, but for me, that’s secondary for now. What we need is a version of Wikipedia that is downloadable as an ISO, burnable to a DVD (all the articles of Spanish Wikipedia fits on a DVD pretty easily), with a decent (doesn’t have to be perfect) search and display functionality, using all free software so there are no obstacles to further distribution and modification. So, this blog post is my wedding gift. I’m putting some effort into pulling together the people who are working on this… and finding some new friends to help us get this done! I’m looking for more volunteers to help with the effort. SJ (a fellow board member at the Wikimedia Foundation) is helping coordinate various people, and we’re launching a new mailing list to get this effort some energy. If you want to help please let me know in the comments, or just email me! The work we do on this will not just be about Spanish, of course! Many languages will benefit. But I’m starting with Spanish as a gift to my friends Martin and Nina. Mozel tov, Martin and Nina! what software are they running? Guido, thanks, I fixed the link! Hoi, have a look at the Okawix off line reader.. it is localised at translatewiki.net … Only 10 more messages need to be localised to complete Spanish. I think you want to check out OpenZIM, Kiwix and Moulin. OpenZIM is a format for compressed and searchable web content, Kiwix is a reader for OpenZIM content (currently only for Linux) and Moulin is a project to distribute Wikipedia on DVD (currently not in Spanish or English). I believe there was a talk at the last Wikimania announcing that the three projects are now working together. Okawix will use as soon as possible ZIM Format also. 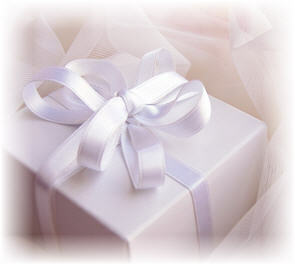 Good thought for gifting a friend a simple gift, but the thought about it is great. Best wishes in your project. How can I get in touch with you? I have a great idea about this. Is there not something like this already? It sounds like a great idea and when you get something you should sell it to WP. I know the database is freely available but they say the images/media aren’t included in the file so you would also have to deal with that. Amazing gift…we did something similar on a rather smaller scale for the kids from grades 1-4 in our minority school, with the help of an IT friend of mine. The school is home to primary and secondary school , so the little ones rarely get to use the computers, and all of the resources in their mother tongue are scarce. Decent enough, please let us know if we can help with the development part of any such tool. First of all it’s Mazel Tov and not how you worte. Secondly, when you get to hebrew I would like to help. i really wish i could help more with the specifics of developing such an ISO file / dvd, but alas, i am quite unfamiliar with that realm of development. in the meantime, is there a way to help get the ball rolling on providing internet access for these schools and their villages? some socially conscious people i work with at MIT are developing internet connectivity that also eliminates the need for pre-existing wires or antennas. it would be a low cost direct satellite/tower feed that acts as a hub and re distributor of internet connectivity for the surrounding area. we could probably find a way to fly them out there and implement such technology at one of these schools? Educar looks an interesting project. What’s the state of wkipedia and its fundraising campaign? What are the timescales? What happens if you don’t reach USD$7.5m target? dvds are neat if they can be popped in standard dvd players and used that way with a TV (most have them). On the other hand, for ONPC (netbook!) how about moving wikipedia to memory sticks? USB Memory sticks are getting cheaper and cheaper and are getting larger than DVDs so they can support pictures and wikipedia multimedia. How about placing a little application, which when plugged into the USB port on a pc will start it up to show wikipedia – and if a connection is available download the latest and greatest of new wikipedia material. Then this memory stick can be used as a living wikipedia by gathering wikipedia when available and presenting it when not in a place with internet. I suppose a little application could be on the stick which would make the dvd burn process really easy too for those who have/need DVDs. First of all, you have a wonderfull idea about the wedding gift! I am Florencia Rodriguez Bensi, an argentinian business management student and I am putting in contact with you as a member of the academic area of the VII Argentinian Congress of Industrial Engineering Students and XIX Latin American Congress of Industrial Engineering Students. The congresses are taking place in Buenos Aires (Argentina), from 6th to 10th October. I contact you in order to invite you to be part of the congresses as disertant. The aim of both congresses is to generate the integration of Latin American students under an excellence academic concept, promoting the comprommise of the students with the society through speeches of professional and cultural referents. We, students, are organizing a congress for students, where more than 2000 students from all Latin America are going to discuss about the role of the engineer in society. I will be waiting for your answer to put in contact with you or with who you designate. Finally, I apologize for my poor English. Indeed it is a very good idea to take the benefits of wikipedia to visually impaired persons. AIDAT NGO is willing to collaborate with Wikipedia organization. 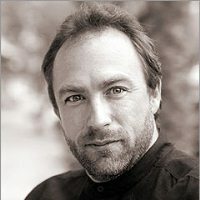 It will be a great honour, in case Mr. Jimmy Wales and Wikipedia organization agree to donate a computer or two with braille key board for physcially challenged persons. Second point is that the number of trained persons to teach braille computer typing and operation, take the benefits of wikipedia to visually impaired persons is very less. We can focus on creating trained persons for helping the poor physically challenged fellow human beings. Is this thing of the reader project still on the move? Isthe reade thi9ng for the argentinian gov’ t educ.ar site? We have some time at disposal… so…. Very nice idea and very kind! Something uncommon is sometimes the best. Hi Jimmy! I looooooove this project and would love to be part of it!!! I speak Spanish and English fluently. Currently leave in Buenos Aires, but lived in NY and study Interior Design at NYSID. Travel constantly back and forth… Right now I am working at a non profit foundation, our main goal is sustainably finance underprivileged women to start businesses through microloans, among other things. Our foundation is called http://www.manosenaccionargentina.org, you are welcome to take a pick. Mr Wales I couldn’t find your mail to send you my view.Whenever I visit wikipedia I am ashamed of myself because my hands are tied. I love you, your idea: bringing all the people to each other with a free encyclopedia that charges us nothing we can modify .As I live in Iran a country under sanction and no international links with the world I can’t send any money for the foundation that I love and I highly revere . p.s:I admire the great men and women who change the world. I think you are a very sweet friend, and I agree how can one go to a wedding without a gift. I do not understand any other technical bit here, but its wonderful that you are doing this noble job that will help impart knowledge and educate those who do not have internet connections. Kids would like that. I’ll be joining a 2-yr fellowship programmed shortly where I’ll work as a teacher at under-resourced schools in 3 cities in India, as part of a movement to battle educational inequity. The Wikipedia for Schools fills a huge gap and can turn any simple computer into a digital reference library for students, giving them access to information that would be otherwise too expensive for them. I will try to spread this to my cohort of 400+ young people when our training begins in 2 weeks time. Gee thanks for your wikipedia. It helps a lot on my research. I get the wiki answers in just a wiki seconds. This is just to express my gratitude to Wikipedia for they have opened up an amazing world to me and the millions of the future world to come. It’s an Aladin’s Cave of precious wealth !